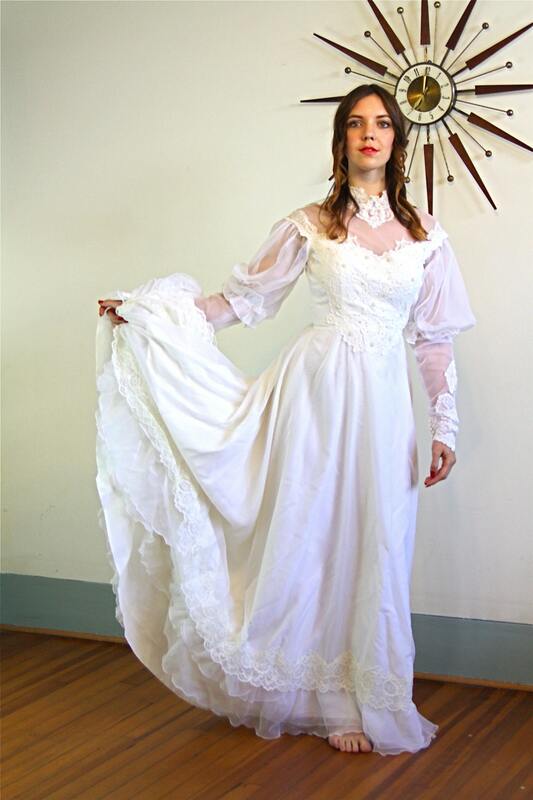 This is such a lovely 70s Boho wedding dress! It is perfect for a romantic hippie wedding in a field with flowers in your hair!! 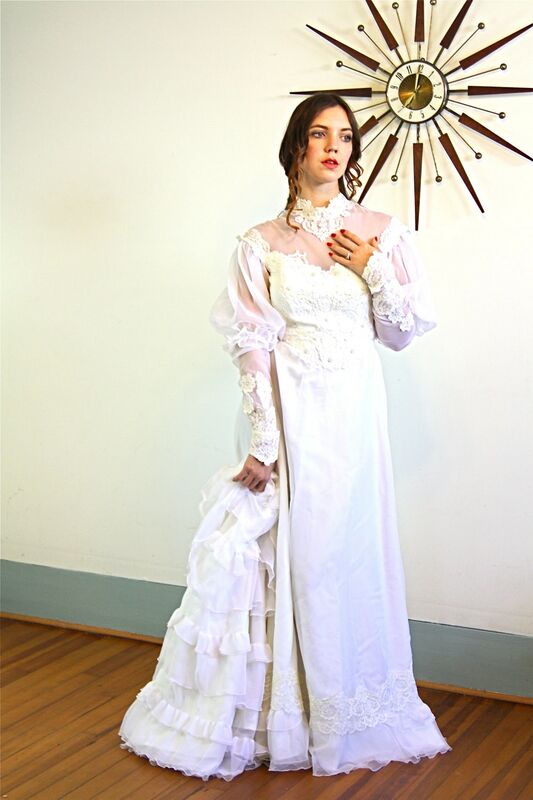 This is such an exquisite vintage 1970s does 1900s wedding gown has sheer mesh netting at the high antique lace collar, and sheer long puff sleeves that end in a beautiful v-shaped tip of lace! 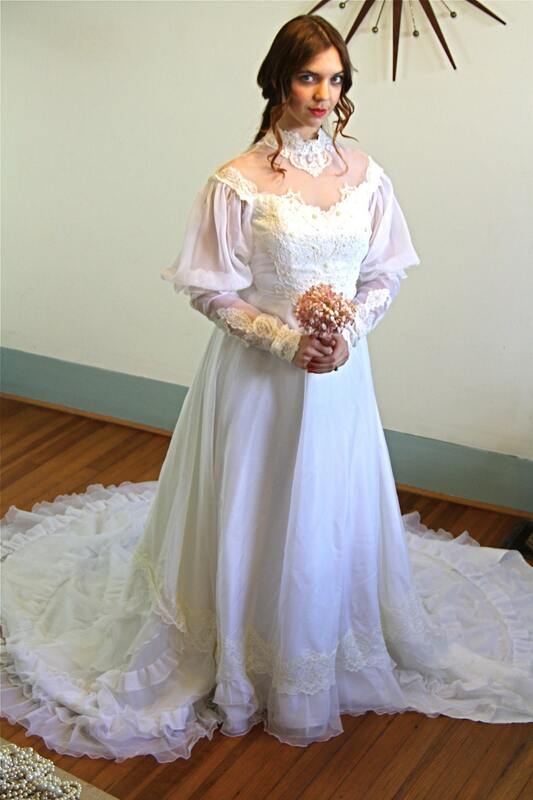 This ivory lace and white mesh dress has a floral pattern Chantilly lace with seed pearl beading throughout the lace. 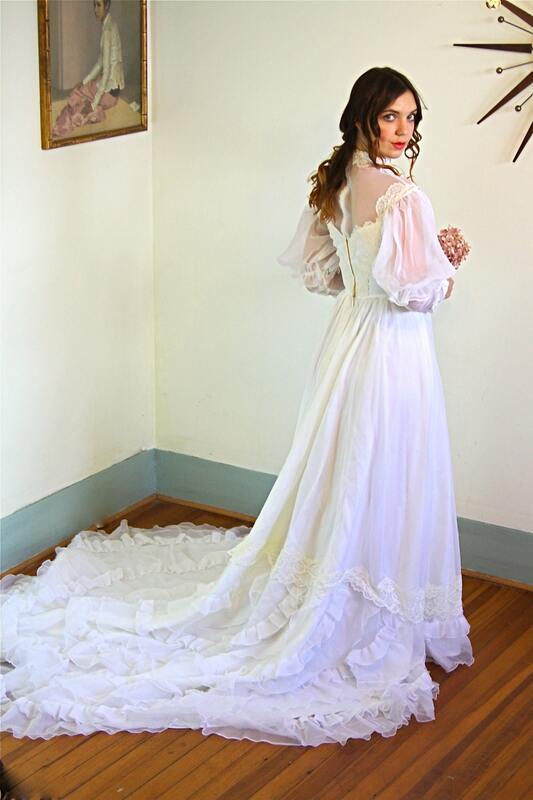 This Victorian style white bridal gown is so romantic! 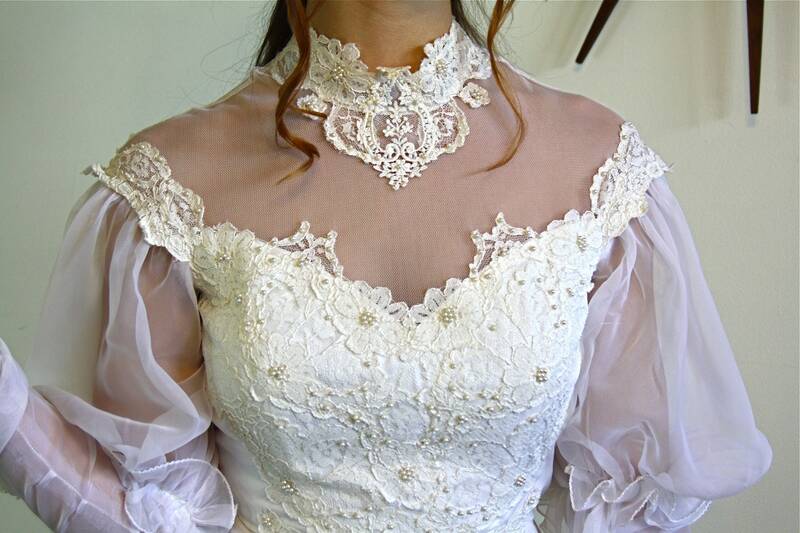 It has a super long train with layers and layers of ruffles! Sleeve: 29" back, 31.5" front to V-shaped tip. Waist to hem front: 43.5"
Waist to hem of train back: 81"
CONDITION: Very Good! The lace is slightly yellowing. There are a very few tiny little faint marks on the skirt.